Blomfield is the chair of the All-Party Parliamentary Group on Migration. 26 January 2015: voted in favour of making fracking companies apply for an environmental permit before conducting exploratory drilling. He was absent for a vote on an amendment to the Infrastructure Bill to include an 18 month moratorium on fracking. 11 February 2015: voted against requiring more pre-conditions for where fracking can take place. 16 December 2015: voted against weakening regulations on fracking in protected areas and national parks. 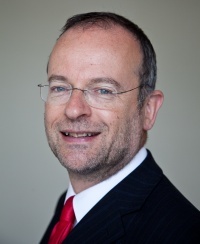 ↑ Paul Blomfield, UK Parliament, 10 September 2013. ↑ Fracking, Green Party Sheffield, 17 June 2014, accessed 29 December 2016. ↑ TheyWorkForYou | Paul Blomfield, TheyWorkForYou, accessed 28 December 2016. This page was last modified on 29 December 2016, at 10:25.